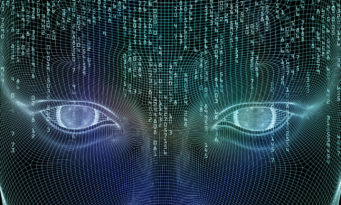 The 21st century revisionist powers will compete vigorously beneath the threshold and will use a lot of strategies and tactics, all measures short of war to achieve their strategic objectives. Thomas J. Wright is a fellow in the Project on International Order and Strategy at the Brookings Institution. Why do you feel that the “all measures short of war” concept captures the essence of the competition of our time? The title of the book was inspired by the famous lecture given by George Kennan in the mid 1940s but also by the strategy that president Roosevelt pursued against Germany in the late 1930s. What I really mean is that we are entering a period of renewed geopolitical competition between the major powers. They do not want to fight each other directly in a general war. I don’t think China has any interest in waging a hegemonic war against United States. But they will compete vigorously beneath the threshold and they will use a lot of strategies and tactics, all measures short of war to achieve their strategic objectives. So it is likely to see economic, cyber and proxy warfare, coercive diplomacy and all sorts of other measures. That doesn’t mean of course that general war won’t occur. When FDR pursued that strategy, general war did occur, but it does mean that it is more likely to see that the intention of these powers is to use all of these other measures. We are looking at a long period of greater competition between big countries. How do you assess the role kinetic/hard power plays in advancing contemporary revisionism? Hard power remains a crucial element of this. But the point that I am trying to make in the book is that it is not just about the overall level of defense expenditures, not just about the overall balance of power but about strategic power and the strategy you pursue where hard power remains a key aspect. For example in Crimea the overall balance of power between Russia and U.S. has mattered less than of the deployable power that Russia had in that particular crisis, the stronger Russian will to act or the proximity and the fact that they could take the initiative. All of these things were decisive and mattered a lot in that case. To me it is not really about an overall balance of power as it is about the strategic advantages and disadvantages that each side has in a particular strategic competition. At the core, your book is about preserving and defending a certain type of international order, one with liberal traits. What are the virtues of the liberal international order, of the world that America made? Why is preserving a liberal international order a strategic and vital interest for the U.S.? When we look at foreign policy and strategy we need to think about the type of world we want to create. What is the type of system we want to live in? I think there are basically two fundamental options available. One option is some version of the liberal international order that existed in the Western world since the mid-late 1940s and in most of the world since the end of the Cold War. That would not be identical to what it was in the past, but it would be somewhat similar to that. The second option is a sphere of influence system where China is the preeminent power in East Asia, Russia is much stronger in Eastern Europe, the European Union has disintegrated, the global economy is much more mercantilist, the world is much more nationalistic, the U.S. still has influence in some parts of the world but essentially has retreated from the proactive role that has had in promoting regional equilibriums in the key regions of the world. To me the liberal international order is far preferable because the mercantilist alternative is much less stable, is much less likely to provide prosperity for the world as a whole, it would be far less cooperation on transnational issues and it will be extremely difficult and dangerous in getting to a sphere of influence system. The liberal international order is preferable in absolute terms but it is increasingly contested, under severe pressure internally because of the rise of the populism, but at the same externally with the return of the revisionist powers and of a more nationalistic geopolitically competitive world. U.S. has a fundamental strategic choice to which path to take. The real debate in American strategy is between two schools of thought one favoring restraint and retrenchment, and the other, increased engagement and competitiveness, one that puts at the heart of U.S. strategy the existential geopolitical challenge against the liberal order. Why does the future of the borderlands/border-regions matter for the liberal international order? These disputes really go beyond some islands in the South China Sea or for that matter small towns and villages in Eastern Ukraine. What they are fundamentally about is whether China and Russia get to establish a major sphere of influence in their regions. The control of South China Sea for China would be a key part of establishing a sphere of influence in East Asia, one that largely had the control of the Western part of the Western Pacific. That will fundamentally change relations with the U.S. in the region because it will give China a much stronger power base, much more influence regionally and capacity to push U.S. to the side and become the main organizer of the regional politics. China would be in a position to control the sea and airspace within its sphere of influence and dictate key economic, political, and foreign- policy decisions to its neighbors. That will not be welcome by the rest of the region, it will probably lead to more competition, but if it would succeed it would badly damage the U.S. interests and the international order and it be a step towards a sphere of influence system that is fairly unstable. The contest is between two very different visions of regional order: the continuation of the U.S.-led liberal order or a Chinese spheres-of-influence system. What are the common denominators and differences in the ways that Russia and China practice revisionism? What we see in revisionist behavior today is pretty consistent with revisionist behavior in 19th and early 20th century. In this case the common sort of characteristic is that they tend to go out after the non-vital, peripheral interests of a major power because doing so generally doesn’t provoke the retaliatory strike that would come from attacking a vital interest. They send the message that it is not really worth quarrelling over some small villages in Eastern Europe or something that is marginal. It is, in effect, a salami slicing strategy. Such acts appear to be of limited strategic importance, until, in the aggregate, they acquire a much greater value generating sizable regional gains that simply disrupt the status quo. Today we see the return of this behavior in both Europe and East Asia. At the same time, we need to keep in mind the differences. Russia is a declining power while China is a rising power. China is a maritime power while Russia is primarily land power centered. 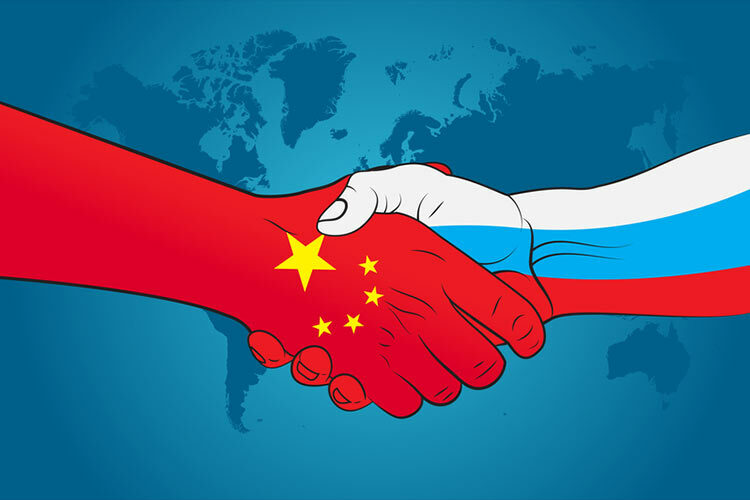 Russia used its hard power in very aggressive ways to achieve its objective where China has pursued a more softer, insidious recipe through civilian fleets and economic leverage. China is generally more supportive of some parts of the international order while Russia tends to be a more robust ideological critic of the liberal order. But both are trying to create their own sphere of influence in the region. What does “responsible competition” mean when applied to the European theater? 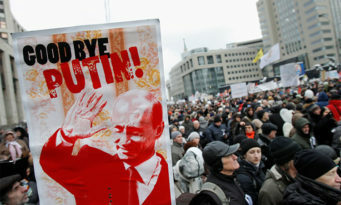 It is basically a deepening of U.S. engagement in order to strengthen the European order and push back against Russia. With the Trump Administration to start is important to go back to basics. The U.S. should support the European Union. It should seek a strong partnership with the EU and not try to undermine it. 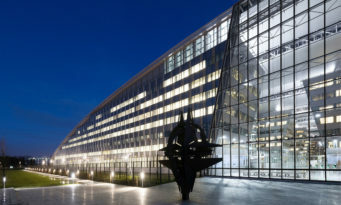 The U.S. administration should reinforce NATO and article 5. The president should give a speech on article 5. U.S. should downplay the role of burden-sharing, revive and broaden TTIP and make it more ambitious than it was under the Obama Administration. It is also important to bolster democracy in Central and Eastern Europe, strengthening deterrence of Russian aggression, countering Russian efforts to interfere in Western politics. The Europe does need to take into account the competitive nature of the world. The Europeans do need to adopt a strategy that recognizes the challenges that Russia poses and treat Russia as a competitor. In general Russia is taking advantages of a lot of the divisions inside Europe and some of the fears the people have. Particularly the return of nationalism creates a rich environment to exploit. 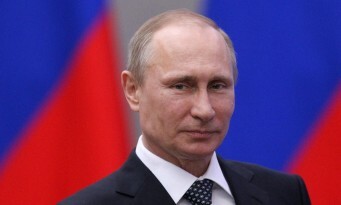 Putin’s number one objective is not the destruction of NATO but the weakening of the European Union. I worry not about a multi-speed Europe (which existed for a long time) but of a multi-tier Europe where you have different classes of countries. If we create a Europe where certain countries are disadvantaged that will work to Putin’s advantage. An extended version of the interview was initially published in the Small Wars Journal.